The annual SBID Awards serve to recognise, reward and celebrate design excellence across a broad range of categories. Winning an SBID International Design Award is a highly regarded and well respected achievement among the design industry. 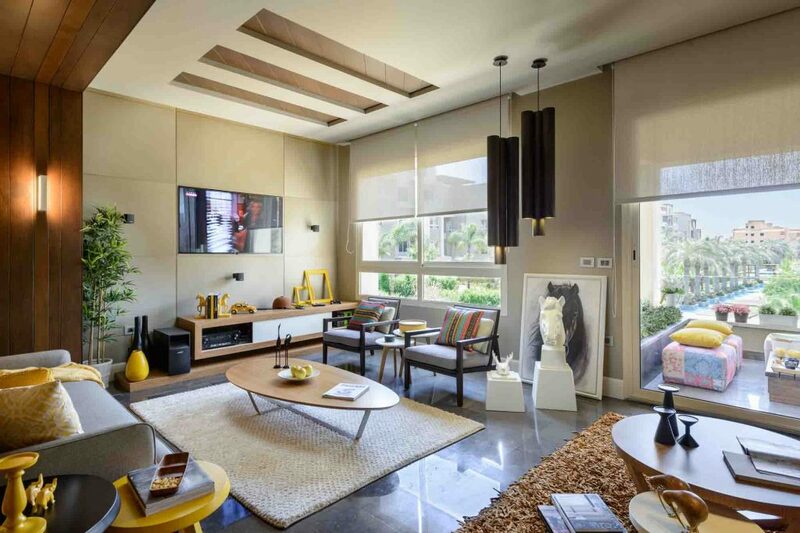 Each project is evaluated by leading industry experts for their technical content and aesthetic creativity, while the design-conscious public also have a say in voting for the designs they find the most inspiring. As we approach the deadline to enter the SBID Awards 2018 on Friday 15 June 2018, our attention turns to last year’s event as we take a look back across some of the category winners from 2017. With a total of 14 categories designed to encompass the broad spectrum of the interior design profession and welcome diverse projects from all realms of interior design, we’re sharing last year’s worthy winners from the residential side of the industry whether you’re looking for project inspiration for your kitchen, bedroom or bathroom. Bernard Interiors was appointed by a private client in 2014 to oversee all interior renovations of a Category A Listed building in the heart of Glasgow’s Park District. The imposing five-storey sandstone townhouse, situated in one of Glasgow’s most sought after areas, majestically overlooks Kelvingrove Park with stunning views across the city. The townhouse had lain derelict for over 5 years, used as office space throughout the 90’s, and fallen into disrepair. 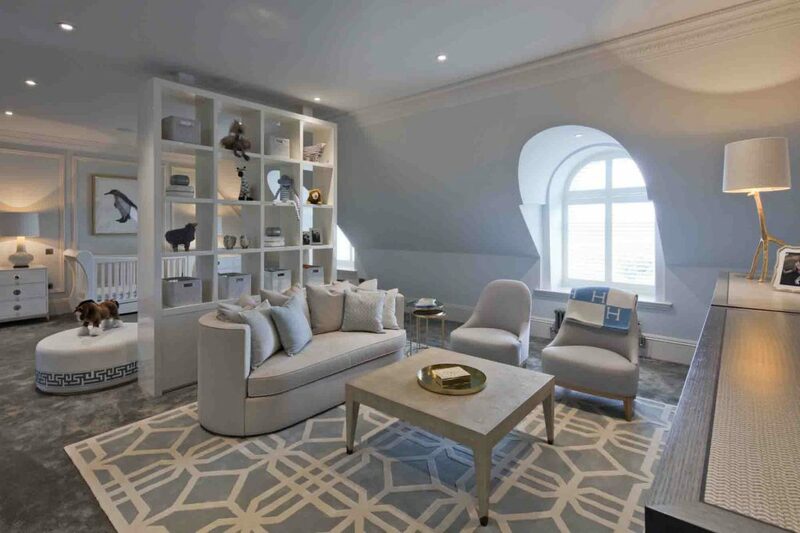 Bernard Interiors were challenged to create a design, which was contemporary yet sympathetic to the historic and period features which run throughout the building. 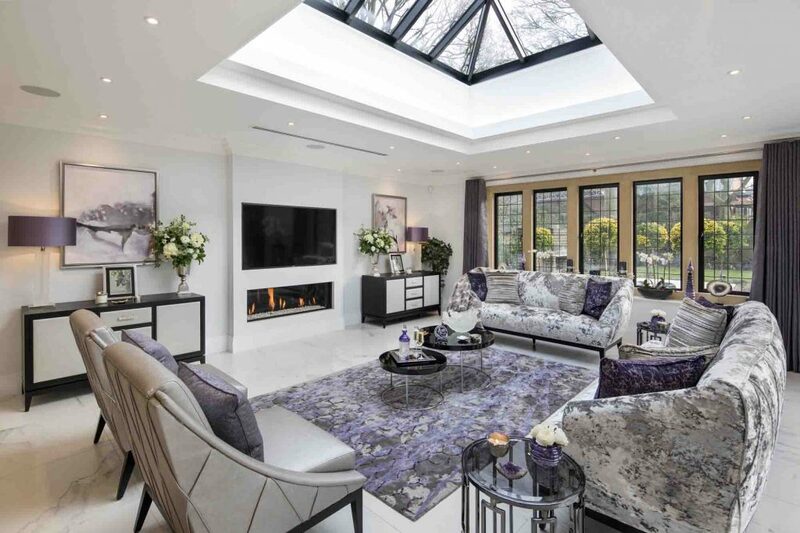 Bernard Interiors also worked alongside the developer for three years to win planning permission to convert the building back to a residential dwelling. 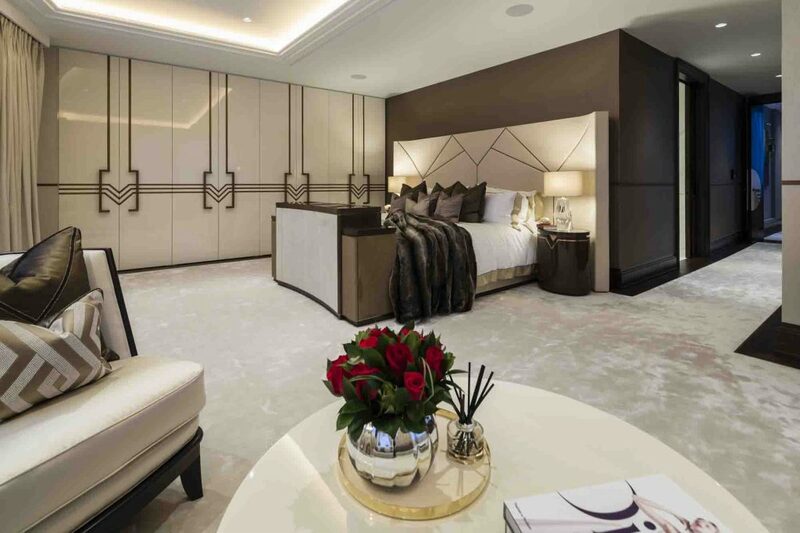 Fenton Whelan designed a multi-unit, boutique, residential development in Mayfair blending the art déco style of the building with contemporary living to deliver a timeless legacy. 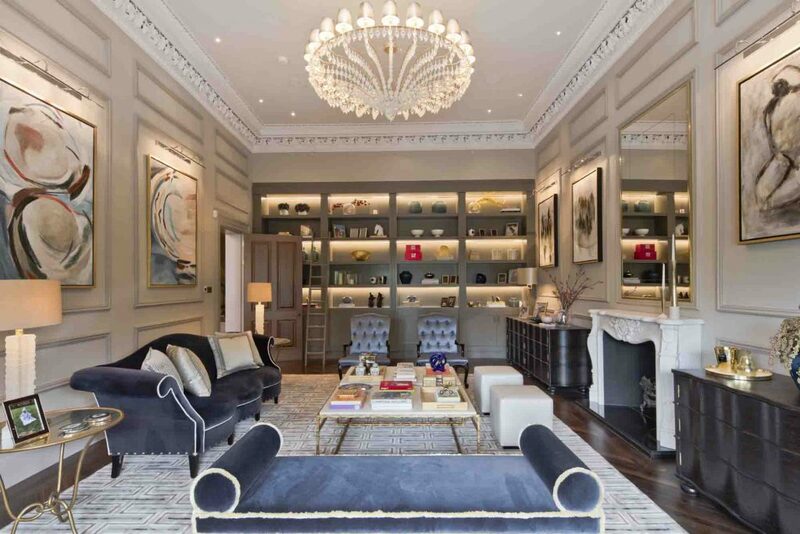 Entering into the living space, bespoke furniture is framed by stained glass windows. Adjacent, the Bulthaup kitchen juxtaposes with the cool green breakfast room upholstery creating an iconic entertaining space with a sumptuous bar area with backlit onyx. 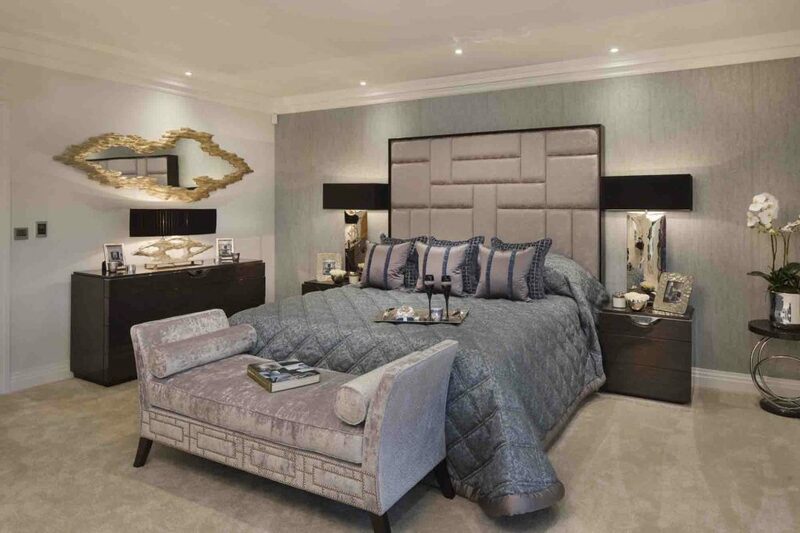 The refined elegance of the master suite can be seen in the lacquered finished wardrobes and the Alcantara upholstered headboard. The master ensuite is framed by the Noir Saint Laurent book matched feature wall and marbled pattern flooring. A beautiful marble staircase leads to access to a private roof terrace with views of London’s iconic skyline framed. 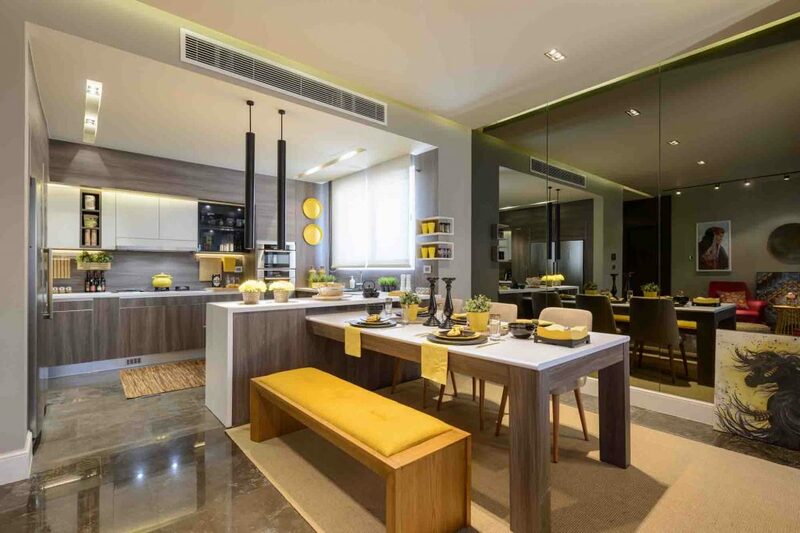 The Grand Influx Presentation Centre is located in the city of Foshan in the central Guangdong Province of southeastern China. This thriving metropolis is steeped in the history and culture bequeathed from the Ming Dynasty and Foshan’s renown ceramic artisans. 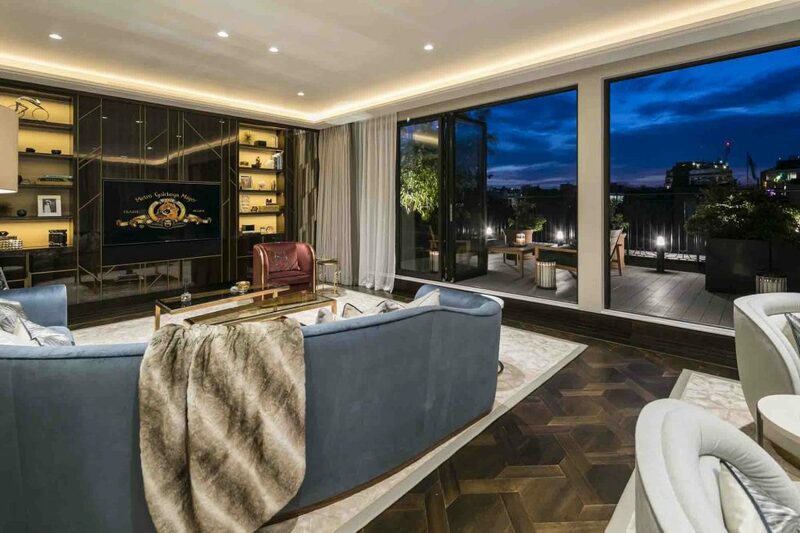 Balanced symmetry, bold clean architecture and cultural referencing are fused together in this 1460 square meters Presentation Centre to captivate prospective purchasers. 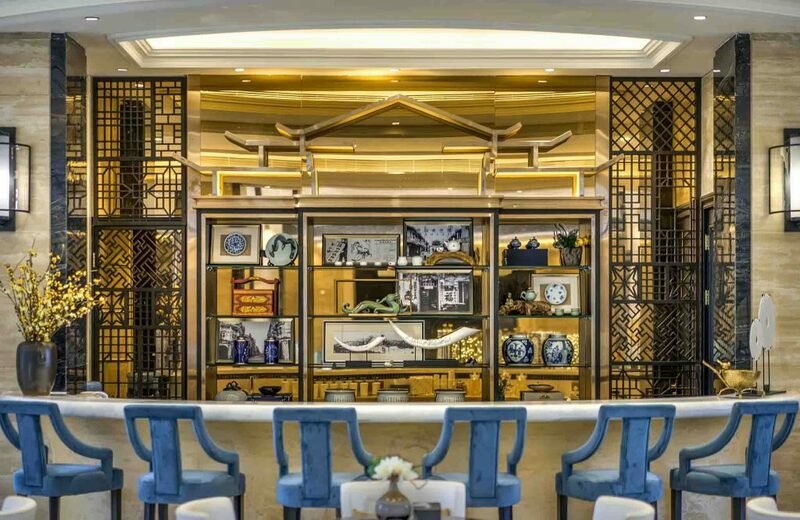 Artful contemporary duplications of iconic Ming Dynasty furniture, motifs and patterns are selectively distributed throughout the project, helping to establish “sense of place” geographically and historically. 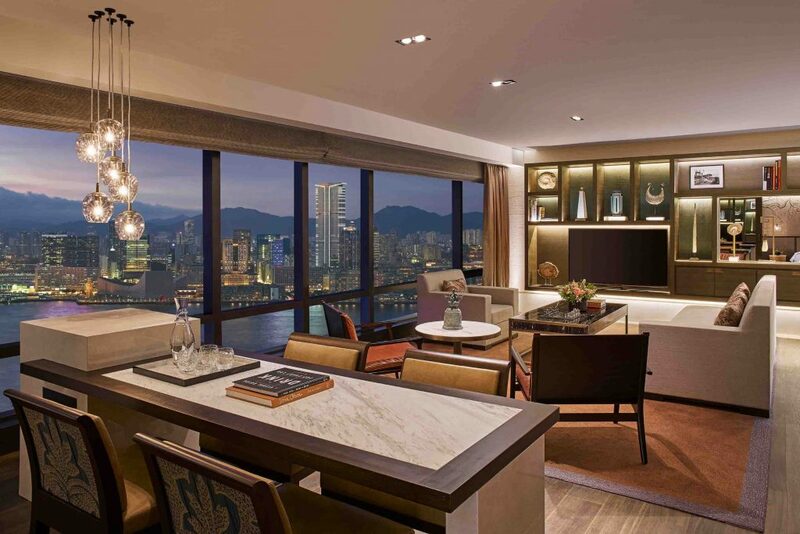 Grand Hyatt Hong Kong has a loyal following of guests and the hotel forms a part of many people’s history and memories. 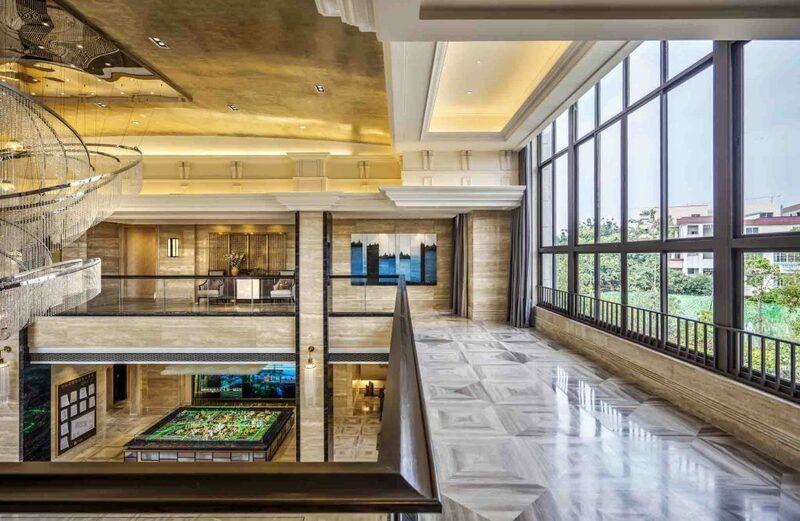 The brief required BAR Studio to retain what was great from the original hotel, thereby preserving the hotel’s appeal to the people who already love it, but also redefine the hotel in order to appeal to the next generation of visitors. The challenge of the brief was to weave the old and the new threads together. 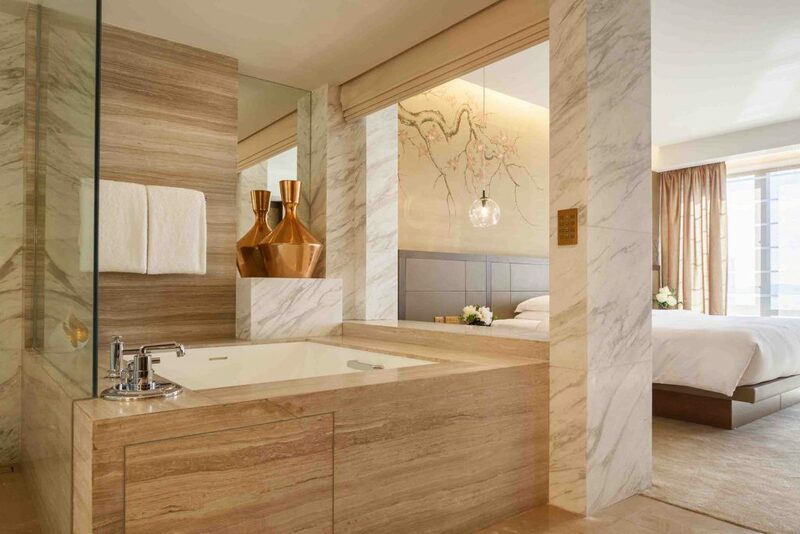 Consequently, the finished Ambassador Suite is a contemporary design but one that is underpinned by the spirit and history of Grand Hyatt Hong Kong. If you’re interested in entering a project, make sure you enter before Friday 15 June for the opportunity to showcase your projects to an international audience, and receive global recognition for interior design excellence. Register to submit an entry or view all of our award categories before it’s too late!